Each year the Hattiesburg Public School District projects its budget for the upcoming school year. And at the end of that year, the school district revises that budget based on the actual revenues and expenses incurred. This year was a little different. The district had to bring Mr. Frank Aderholt out of retirement to complete the revised budget; since the person in charge of those responsibilities was not able to complete the task. The deadline for filing the revised budget with the state was October, 15th. 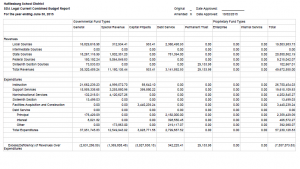 The Hattiesburg Patriot has exclusively obtained the revised budget filed with the state. It has not yet been certified; so it could potentially be worse that this. This mismanagement should come as no surprise. Our school board hired Baccus, who recently admitted that he made a math error in a tally sheet; which determined what company won the job to write the District’s Strategic Plan. Not surprisingly, the error resulted in a firm, which Baccus has a very close relationship, getting the contract. The error cost the school district over $130,000. Meanwhile, Baccus’ picture is all over their website. It’s apparent that the School Board President, Marcus Cathey, isn’t capable of doing his job, and Baccus can’t add correctly either or didn’t bother to check the score. Cathey seems more concerned with abusing his power and using public buildings against state statute for his non profit than taking his position of public service seriously. Read more about Cathey here. Hattiesburg has some of the highest school taxes in the state. In the late 80’s to early 90’s Hattiesburg received legislative approval to exceed the statutory limit on school taxes. At this point, the district will have to make massive cuts to correct this mismanagement. 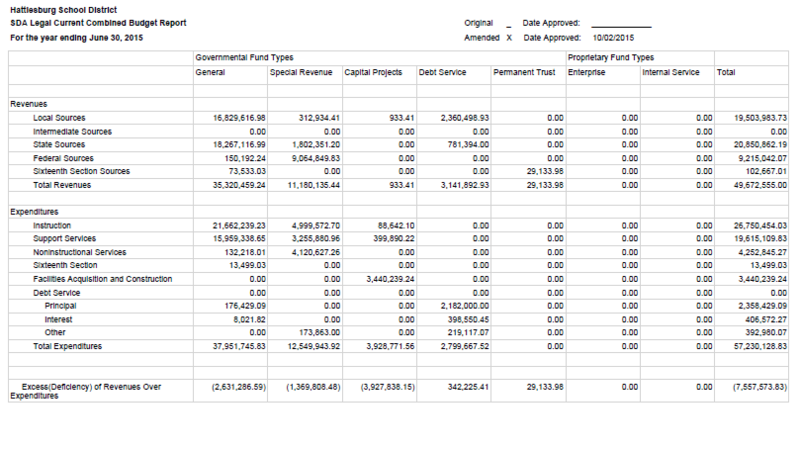 Below is the revised budget. It speaks for itself; as it reflects on the Board and the Superintendent’s inability to manage taxpayers resources. Meanwhile, we have the highest administrative costs in the state.